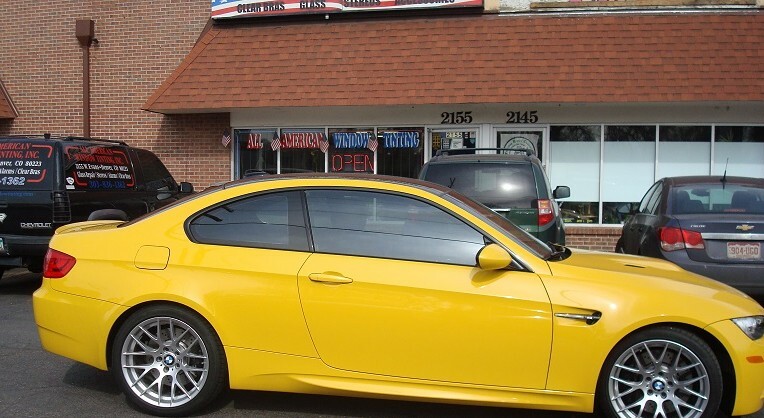 ALL AMERICAN Window Tinting, Inc., offers the best professional car window tinting backed by a lifetime warranty in Denver and surrounding areas of Colorado. Purchasing a vehicle is a major investment. Window tint for your car or truck can keep your prized possession safe from many hazards. The most important function of tinting the windows of your car or truck is blocking out 99% of ultraviolet rays and protecting you from skin cancer. Tinting the windows in your car or truck also keeps your interior looking new by reducing the chance of the upholstery becoming faded or cracked. Plus car and truck window tint looks cool! 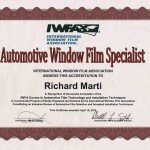 All American Window Tinting is now an accredited Automotive Film Specialist! This training/testing program is designed to educate dealers and installers in the specific area of automotive window film applications and properties. The team at All American Window Tinting has the knowledge, experience and now the accreditation to help you choose the perfect auto tint for your vehicle. 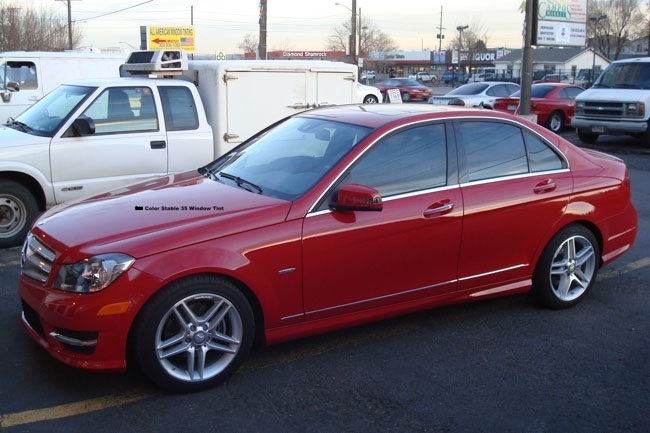 Security is another major factor in installing window tint or window film in your car or truck. Having tinted windows in your car or truck can lower the chances of criminals seeing into your vehicle so they are less likely to break into it. If a window in your car or truck does get broken the window tint or window film will hold the glass in place in most cases. Another reason to have window tint on the windows in your car or truck is the increased cost of fuel. The air conditioning will run with extreme intensity when you do not have any window tint on your car. Tinting the windows in your car or truck will reduce heat to allow you to run the air conditioning at a lower level, which saves you money in fuel expense. 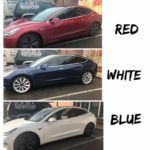 Applying window tint on Electric cars like Tesla Model 3, Tesla Model X, Tesla Model S will help extend your battery charge. Window tint helps reduce heat and cool down the vehicle so will not have to turn the Air Conditioning as high as you would without window tint. Which means your battery charge can last longer. We offer a variety and wide selection of truck window tint and car window tinting and films. All of the car and truck window tint options we offer are backed by a lifetime warranty. Window tint is not one size fits all! There are different benefits for different types of window tint films. Below we will explain the car and truck window tinting products we carry and the differences between them. A Premium Dyed or Color Stable window tint or film rejects heat produced by light. A dyed window tint or film is just that a dye based product. The window tints and films tend to be darker so they block more heat because they are blocking the heat you feel from visible light. These cars and truck window tints and window films block about 30%- 55% of heat depending on how dark the window tint is. 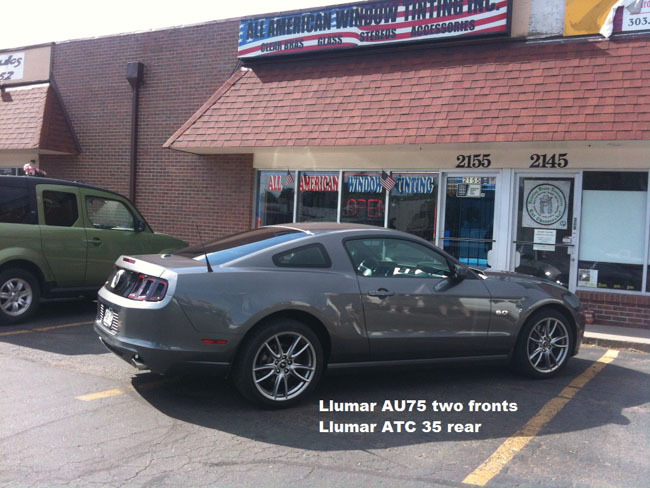 Examples of the Color Stable products we carry are Llumar ATC (Auto Tint Color Stable product line). Mid-level high-performance films like Llumar CTX Ceramic offer excellent heat rejection. These Films utilize CeramatrixTM Advanced Technology to provide superior UV absorption and heat rejection without blocking electronic signal transmissions. These products are a very close match to factory privacy glass and reduce over 50% of the heat that you feel from the sun. Examples of the Ceramic tint we offer is Llumar CTX signal enabling window films. Our highest performance films include Hüper Optik Nano-ceramic window film series. The Nano-Ceramic line is one of the best and highest performing products on the market. 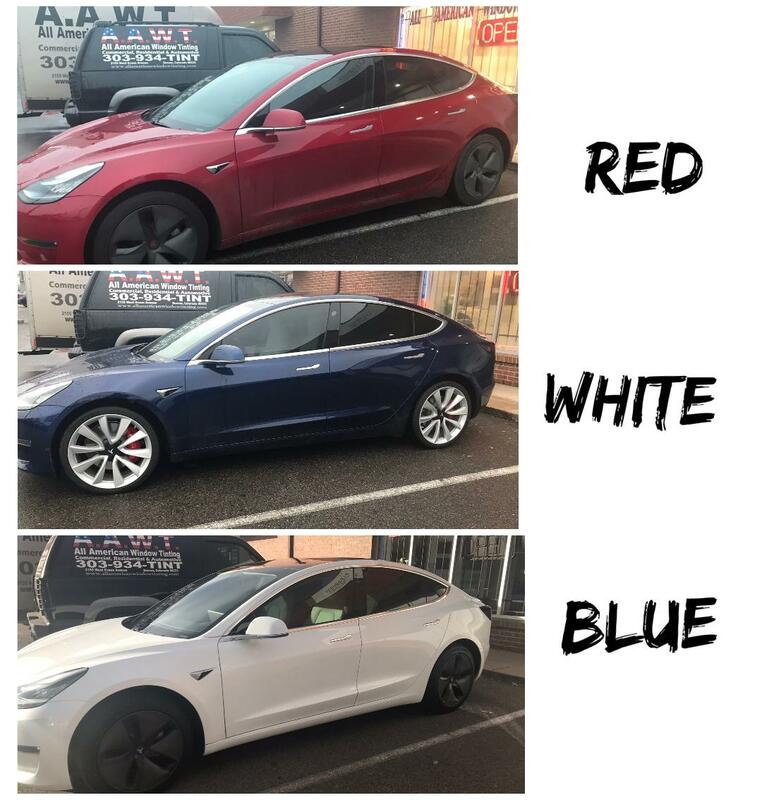 The most popular window tint for Tesla and electric cars. This is the first patented Nano-Ceramic material . Which means these car and truck window films are absolutely dye free and metal free. This nano-ceramic window film rejects heat produced by IR and light which means it blocks a lot more heat than a color stable or dye-based film and can be dark or light but will outperform a dyed product no matter what shade. Nano-Ceramic window tint reduces anywhere from 35% to 68% of heat depending on the darkness. Even the lightest option, 70% reduces more heat than 5% Limo tint! You do not have to black out your windows to reduce a lot of heat in your car or truck. 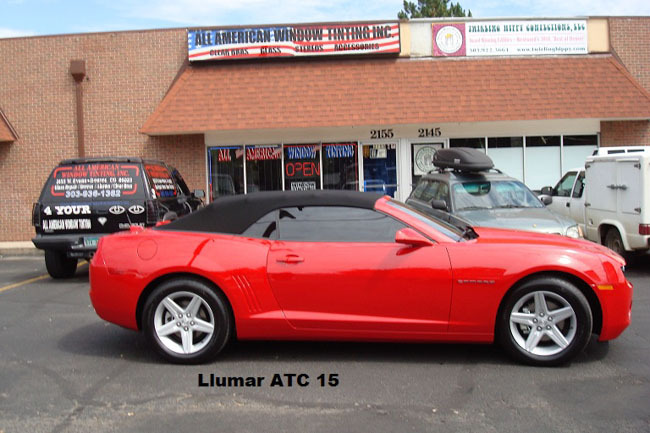 All American Window Tinting, Inc. (AAWT) is the leader for automotive and car window tinting in Denver and surrounding areas. If you’re looking for the best window tint shop in Denver to tint the windows in your car, truck or SUV call us. 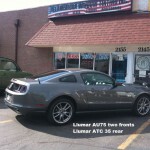 All American Window Tinting, Inc. (AAWT) team of professionals has been providing window tinting services since 1993. With that length of experience, we have applied window tint to about every car or truck you can think of. All American Window Tinting, Inc. carries most major brands, giving you a wide selection of window tint and window film shades to choose from. Our certified, professionally trained installers are at the top of their field and you can be assured the job will be done right the first time. Our back windows are tinted with one sheet of film, ensuring a great quality job for many years to come. We stand behind our work with lifetime warranty films that are backed by our shop and the window tint manufacturer. Most of our car window tint installs take around two hours to apply. We accept walk-ins but it’s always best to schedule an appointment. We have convenient hours to meet your needs. 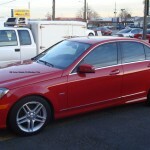 We tint all types of rides from Mercedes, Porsche, Land Rover, Audi, Honda, Nissan, Kia, Mazda, Volkswagon, Buick. To Eco-friendly cars like Tesla Model S, Tesla Model 3, Tesla Model X, Toyota Prius, Nissan Leaf, Chevy Volt. Of course, we tint Exotic cars like Lamborghini, Maserati, Ferrari, Bugatti, Aston Martin. If it has windows we can tint it! Window tint makes a great gift and gift certificates for car window tint and truck window tint are available. When you need your car, truck, SUV, boat, or motor home tinted, there is only one choice, All American Window Tinting, Inc., (AAWT). 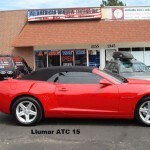 Simply the best when it comes to auto and car window tinting in Denver and Colorado! Contact us today!